Mr. Nastas was General Partner, Chief Investment Officer/Managing Director and/or Senior Advisor in the creation of venture funds in the US, Canada, Europe, Africa, CEE and the CIS with total capitalization of $750 million. 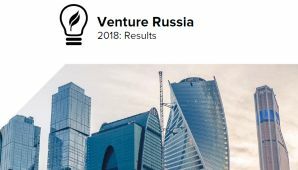 Mr. Nastas recently finished a senior advisory assignment for the Russian Venture Company (http://rusventure.ru), the Russian Government’s $1 billion fund-of-funds, Moscow. 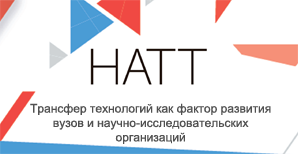 Currently Mr. Nastas is Independent Director, Board of Directors, Sotsgorbank (www.socgorbank.ru) and the Independent Directors Association (www.nand.ru), both located in Moscow, Russia. He represented venture capital investments on the Board of Directors of five US and seven Russian companies including Neogen (NEOG: NASDAQ), Applied Intelligent Systems Inc. (acquired by ESI, ESIO: NASDAQ), Personal Bibliographic Systems (acquired by Thompson Financial, NYSE: TRI & NASDAQ: TRIN), Flexoprint, MRCI, Saratov Wallpaper, Rolti and Lada-Xleb to name a few. Mr. Nastas was Chief Investment Officer, Senior Advisor in venture capital at the Russian Investment Fund, HP Russia LP, IFC, The World Bank, the European Commission, the Canadian Development Bank, Financiere St. Dominique & others. Tom Nastas created IVI to invest venture capital (VC) into US technology companies. He marketed IVI’s entry into Canada, Europe, Africa & the CIS; established relationships, access markets, raised capital to finance the start-up & mgt of international cash flow & VC funds. He managed the P&L, led int’l bus dev thru sales & execution. His early career includes Product Development Engineer, Ford Motor Company: Manager of Product Planning & Market Development at Multifastner Corp., & Donnelly Mirrors (auto suppliers): He started his career as a management consultant to AMF, Lear Sigler, Votrax Speech Synthesis, Sinteris Magnetics, Chinese Computer Comm., Recomtex & others. He earned his BA and MBA from Michigan State University. Mr. Nastas is active in the Russian community, to develop future leaders and help place talented Russians in companies he is involved with. Mr. Nastas was recently appointed member, Global Advisory Committee, Larta Institute, Los Angles California (http://www.larta.org/ThisIsLarta/TeamView.aspx?fname=Thomas&lname=Nastas). Since 2001, he is Advisor, Pericles, Moscow. He tutors Russians for admission to international MBA universities, assists in the preparation of essays & interviews. Successes? 100+ students enrolled in London School of Economics, U of C Berkeley, U of M, Chicago, Duke, Harvard, MIT, Stanford, Wharton and INSEAD to name a few. 32. Contributing author of two textbooks: ‘Cases in Product Planning & Development,’ and ‘Starting A Hi-Tech Company: An Insider’s View of Entrepreneurship,’ both published by the University of Michigan Press, 1977.